The last part of this year our group has created many projects: air pressure cork gun, lava lamps, pressurized bombs, magnets, electric door bell, and we launched rockets. 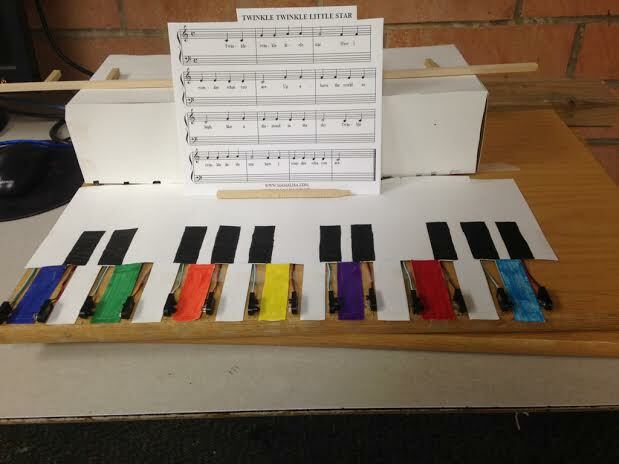 We ended the last semester trying to create a computer programed piano with infrared lights, the first part of this year went to finishing that, it is now a fully operational piano with 8 notes. After that we decided to go back to a more violent set of experiments. We began fairly tame with experimenting with creating magnets out of nails, copper wire, and a battery; we ended up making pretty weak magnets, but it did propel us into our next experiment which was messing with electrical currents. Our big experiment with electric currents was creating a door bell that was electric powered, the bell was operated with a push button that opened and closed a current that would ring the bell. 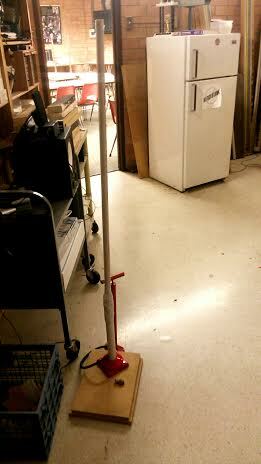 Then we began to mess with air pressure, we started with the rocket launcher in the storage room, we made some fabrications (duct tape and a PVC pipe) to make the launcher longer and we found corks that would fit the PVC pipe, the result: a fully operational air pressure cork gun. Then we decided to mess with pressurizing sealed containers like bottles until they exploded, we did this with vinegar and baking soda, or alka seltzer. Finally, we ended by making lava lamps with water, food color, vegetable oil, and alka seltzer. 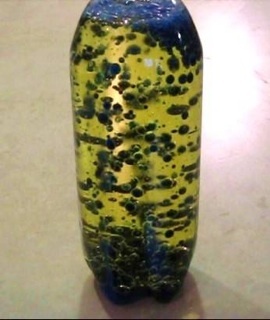 The lava lamps were created when the denser water that was dyed with food color produced bubbles due to the alka seltzer and passed through the less dense layer of oil on top. This is our air pressured cork gun. 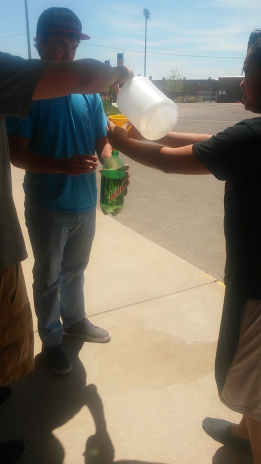 This is us filling an empty bottle with baking soda and vinegar. 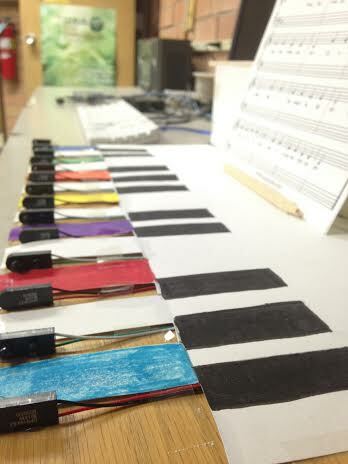 These are pictures of our programmed piano. My contribution to these projects was: I aided in the programming of the computer, I built the cork gun with duct tape and PVC, I found the ideas for the lava lamps and gathered the materials and made them, made the idea of making the pressurized bombs with baking soda, vinegar, and alka seltzer.